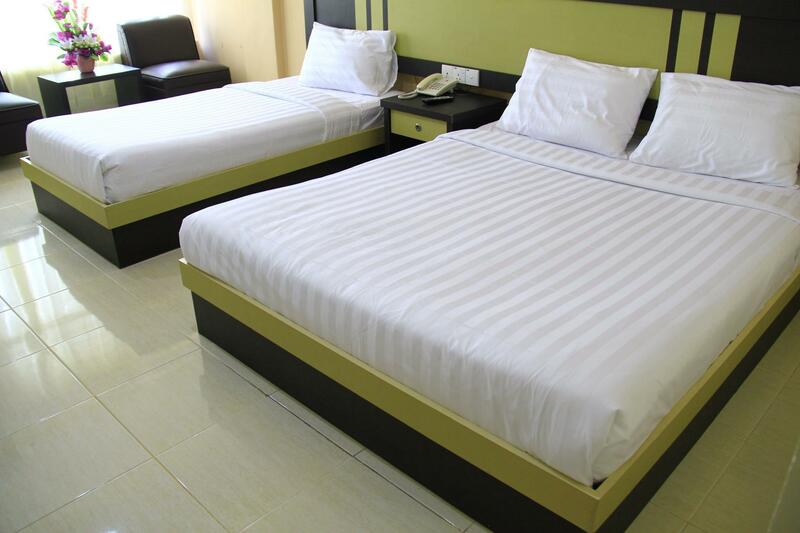 "Hotel is extending and hope the hotel will have lift or grou..."
Have a question for Hotel Sampurna Jaya? 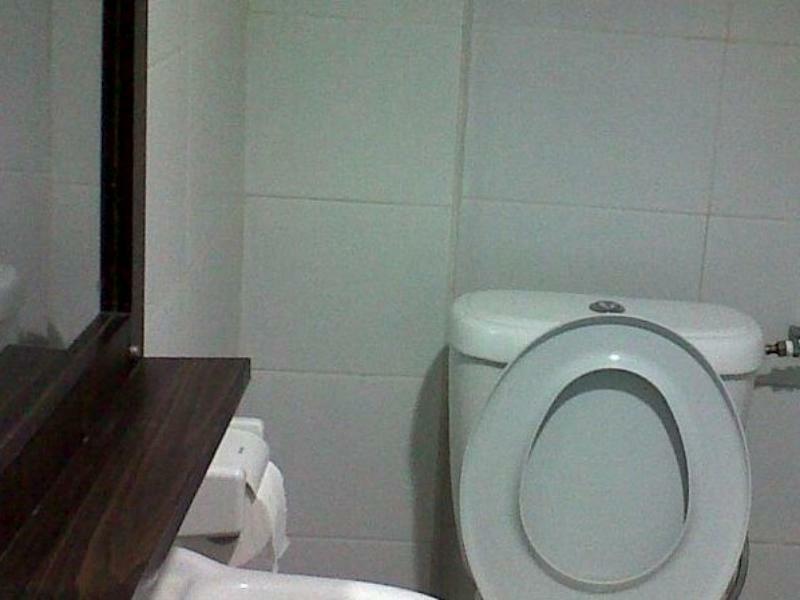 "Room is spacious and well furnished." "It's close to the ferry terminal and walking distance to supermarket, shops and food stalls." For travelers who want to take in the sights and sounds of Bintan Island, Hotel Sampurna Jaya is the perfect choice. From here, guests can enjoy easy access to all that the lively city has to offer. 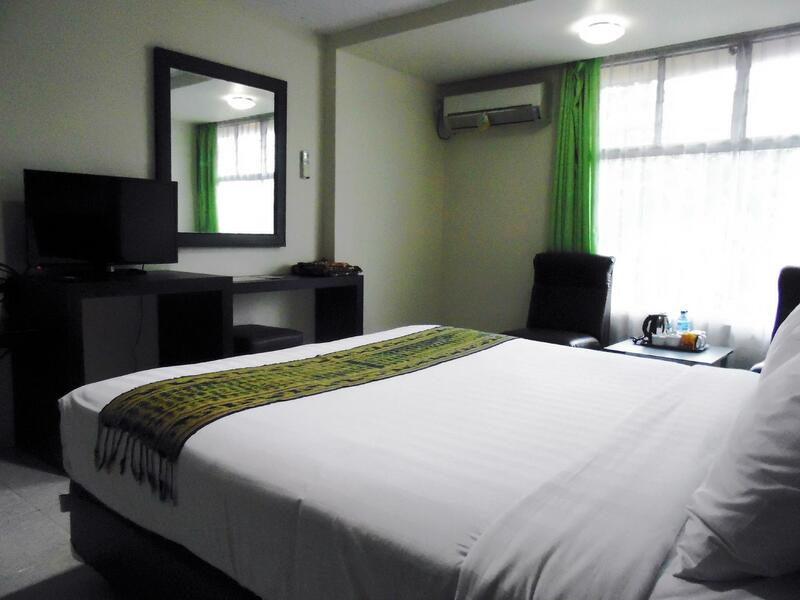 Visitors to the hotel can take pleasure in touring the city's top attractions: Masjid Agung Al-Hikmah, Tanjung Pinang, Tanjung Pinang Ferry Terminal. Take advantage of a wealth of unrivaled services and amenities at this Bintan Island hotel. 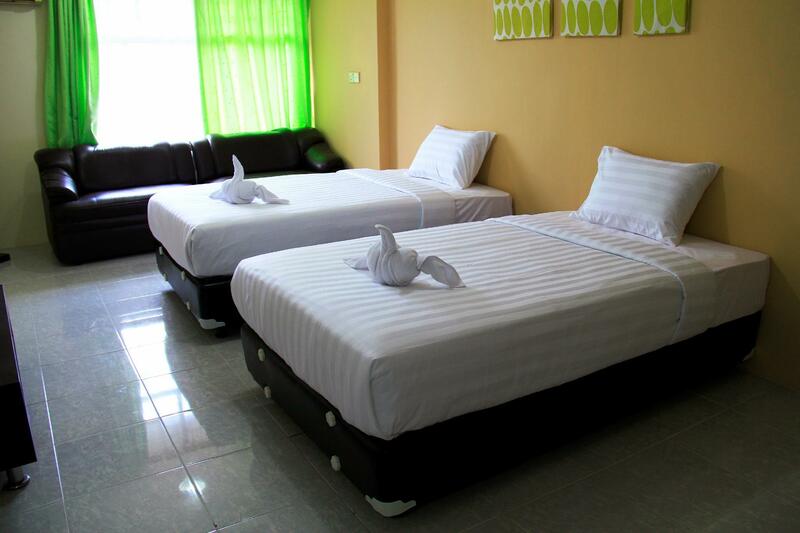 While lodging at this wonderful property, guests can enjoy Wi-Fi in public areas, car park, airport transfer, laundry service, safety deposit boxes. Step into one of 68 inviting rooms and escape the stresses of the day with a wide range of amenities such as air conditioning, desk, mini bar, telephone, television which can be found in some rooms. Besides, the hotel's host of recreational offerings ensures you have plenty to do during your stay. 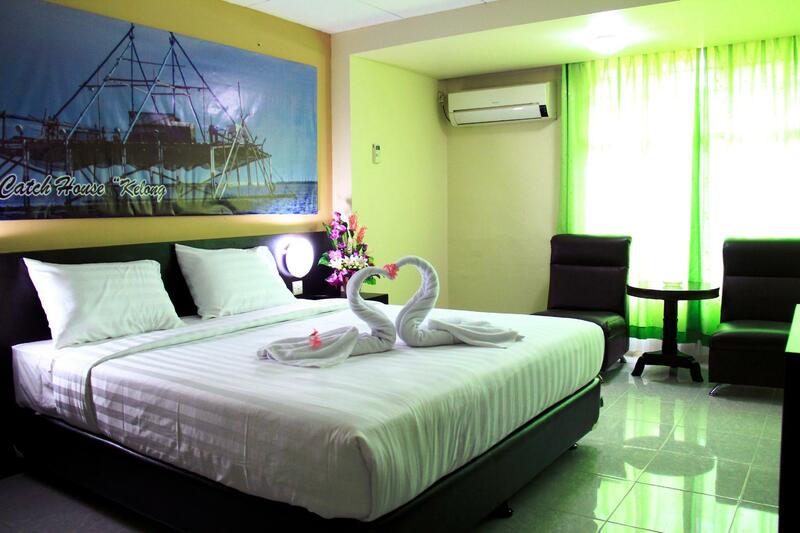 Hotel Sampurna Jaya is a smart choice for travelers to Bintan Island, offering a relaxed and hassle-free stay every time. "Kindly provide free shuttle to the shopping mall nearby." Firstly, Hotel lobby using fan instead of air condition dust almost everywhere. Cleanliness needs to look at, staff friendly but uniforms some wearing slipper nor sandal. Secondly, No lifts, Room using keys instead of card access. My first impression is like walking into a old antique museum. Thirdly, Rooms were filthy, beds not clean, fixtures dusty, two hours later spotted cockroaches sneaking under the bed, rooms have no telephones. Lastly, Breakfast was even worst.... upon check in hotel frontdesk informed that the breakfast will be served by 7am till 10am on the following day. Next day came down around 8am. Surprisingly no one is having breakfast and what makes me worst is that only 2 choice of meal. Thank you so much to Pak Alam and driver Yogi who are pleasant and very accomodating. Hotel is extending and hope the hotel will have lift or ground floor rooms for easy accesiblity for couples like us. Kindly provide free shuttle to the shopping mall nearby. Keep up the good job done. Very old hotel. Bathroom very small and dirty for a family room. Breakfast was atrocious. Staff don't know how to use credit card machine.. Will never stay here again. Needs a major overhaul. Very bad experience. Hotel room and toilet are clean and in good condition. Room is spacious and well furnished. It's close to the ferry terminal and walking distance to supermarket, shops and food stalls. But hotel is close to a road and very noisy at night and early morning hours due to passing vehicles and especially loud motorbikes. No room wifi, only availabe along corridors and can be very warm with mosquitoes flying about. This hotel need major renovation. My stay was ok as I have mentally prepared myself abt d conditions of d hotel aft prior reading of the reviews abt d hotel fm other guests. Glad that d hotel is within walking distance to ferry terminal, market shopping n seafood restaurant. Bed was too soft, I can feel the metal spring. Room was beside the road. Very noisy at night. The condition is very poor. Bed frame was painted, bathroom door can't be locked. Visible chips on the wall. Room is near the road, very noisy at night when cars and motorbikes pass by. Bed was too soft, can feel the metal springs. It just fine stay in here. Cannot expect something to be classy. Enough for sleep and rest. Walking distance to market, sea side. Public transport in front of hotel. Room improvement like better towel, minor improvement to bathroom. not recommend to stay,suggest finding one near the beach. commuting is not very bad,not recommend to live there. The hotel was good but many things requried renovation and bath room clanliness.